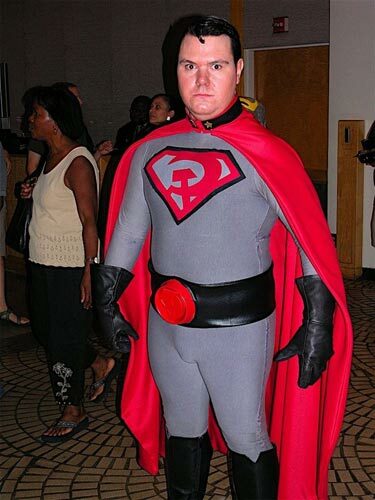 This costume comes from a storyline set in an alternate dimension in which baby Superman's rocket landed in Soviet Russia instead of Kansas farmland. You know what else happened in an alternate dimension? This guy DID have a date for the prom.